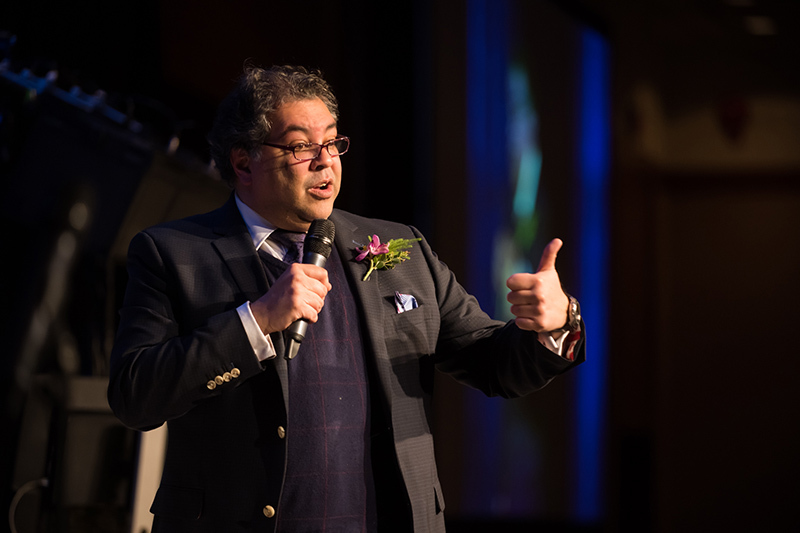 With a great turnout and fantastic conversations, the Mayor’s Lunch for Arts Champions was sold out for its seventh year in a row. 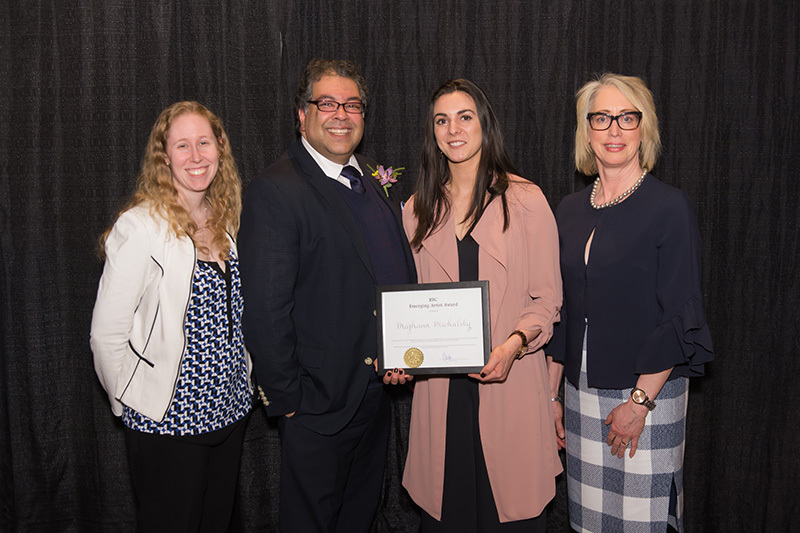 Organized by Calgary Arts Development and the Office of the Mayor, the March 13 event saw 650 Calgarians from all sectors gather in the Palomino Room at the BMO Centre on Stampede Park to recognize and celebrate the many ways that they champion the arts in our city. 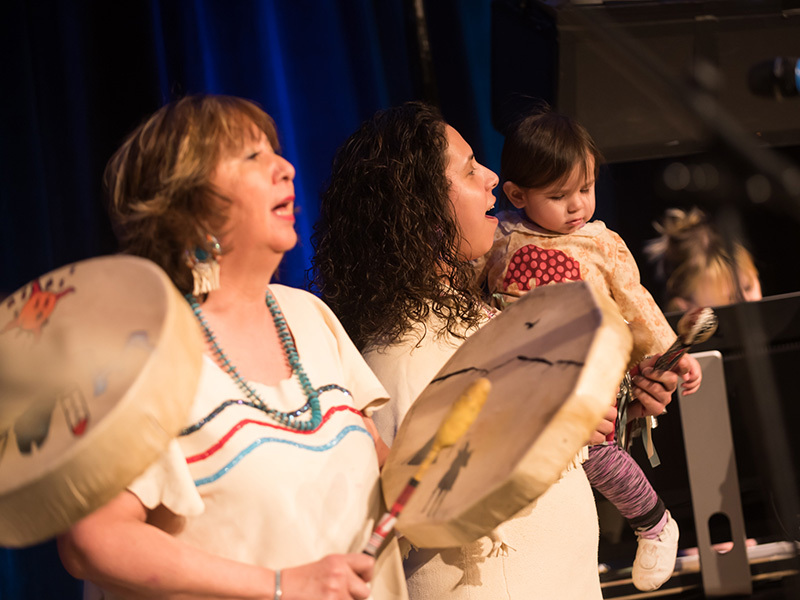 The event started with a Musical Land Acknowledgement featuring Olivia Tailfeathers and the Grassland Singers, Calgary Arts Development President & CEO Patti Pon, and visual artist Mandy Stobo. Hosted by Dave Kelly, the luncheon featured a conversation with distinguished panelists The Hon. Lois E. Mitchell, Lieutenant Governor of Alberta; The Rt. Hon. Adrienne Clarkson; and John Ralston Saul followed by remarks by His Worship Mayor Naheed Nenshi. For an hour before the lunch, youth artists (under age 21) entertained attendees as part of the Calgary Foundation Youth Arts Showcase including musicians, dancers, and visual artists. 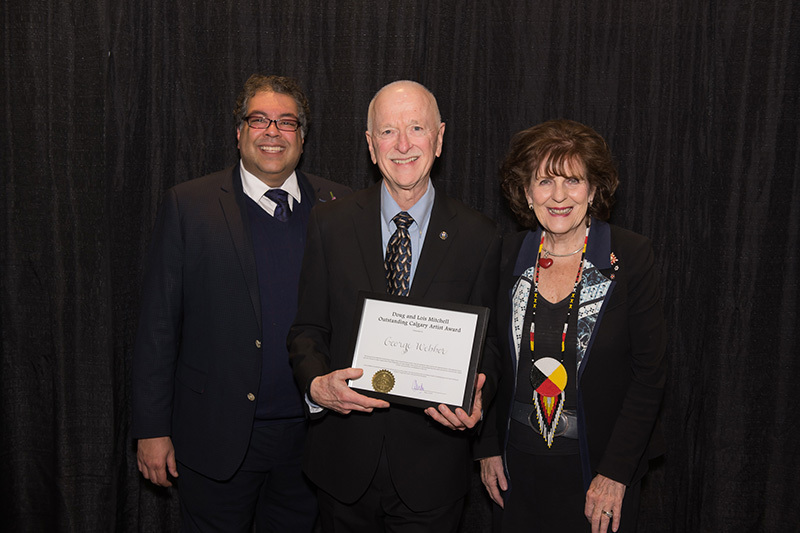 Recipients of the Cultural Leaders Legacy Artist Awards were announced through a video featuring interviews with award-winners and sponsors. 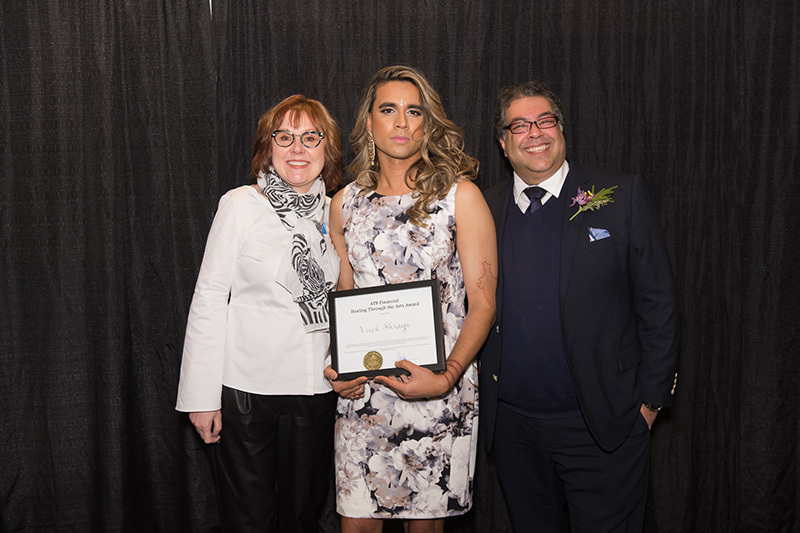 Each Legacy Award winner receives a $5,000 cash prize, which is funded by a contribution from a local philanthropist or organization with equal matching money from a legacy fund of Calgary 2012. Visionary multidisciplinary artist Vivek Shraya creates films, books, and songs that explore and interrogate the complex effects of racism, homophobia, and transphobia on mental and physical health. 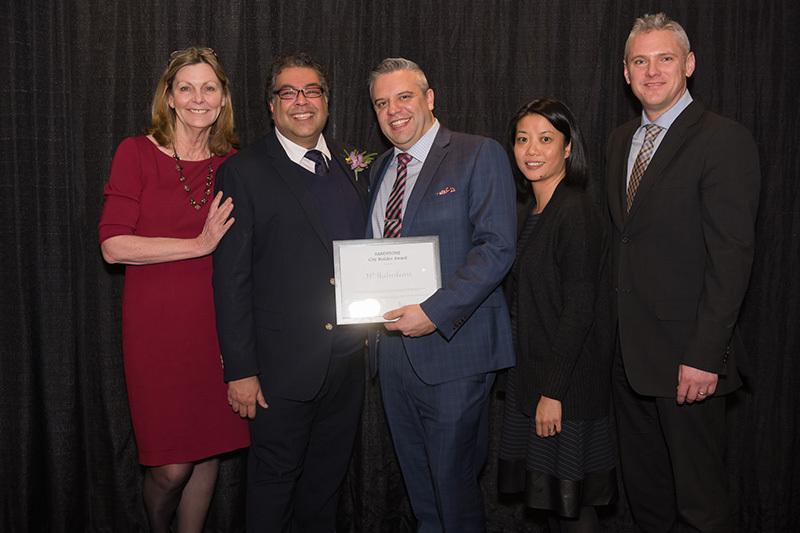 Samuel Obadero is a skilled lifestyle photographer and a strong new voice for social advocacy in Calgary. 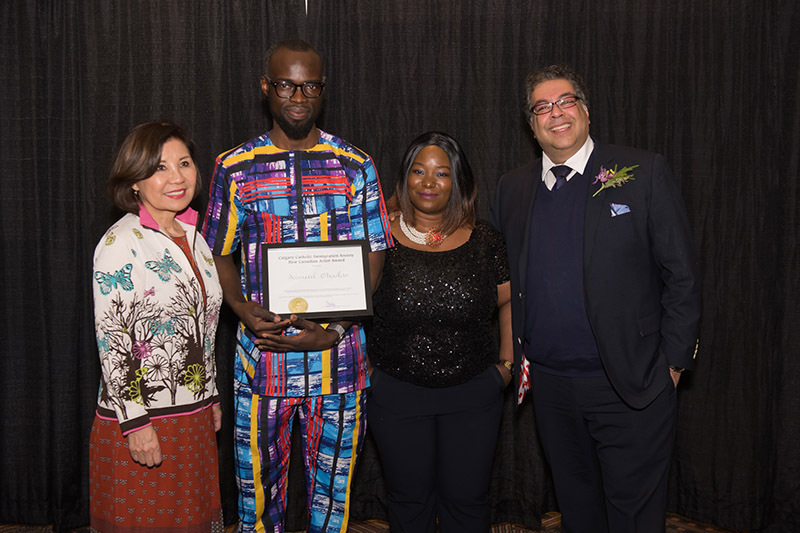 His current project, The Forgotten Ones, gives voice to marginalized groups in Calgary through powerful imagery. Peter Schryvers is the driving force behind the Beltline Urban Murals Project. His work facilitating a dozen stunning murals in the Beltline has inspired and activated the neighbourhood. 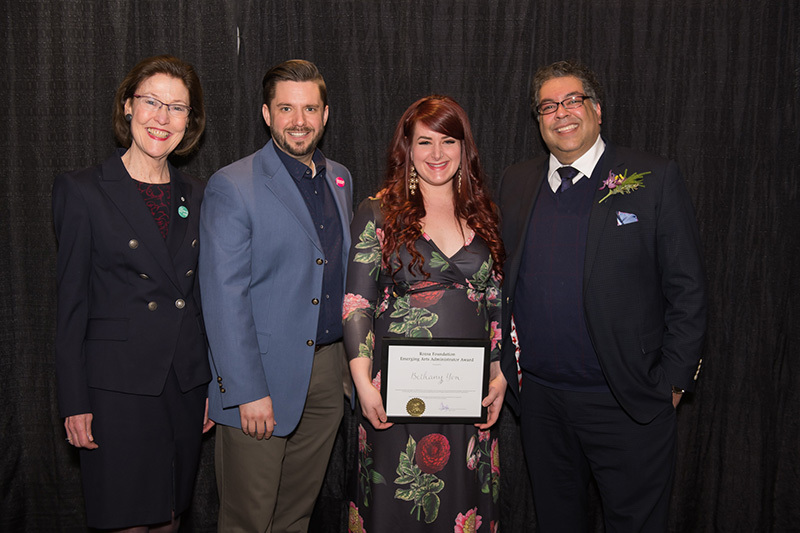 Meghann Michalsky’s emerging artist record demonstrates her prolific artistic output, her impressive motivation to growth and change, and her determined and productive investment in the Calgary community. Bethany Yon has led the transformation of Cowtown Opera from a startup to a professional arts organization in under two years with her passion and talent. JP Thibodeau has a passion for creating theatre magic. 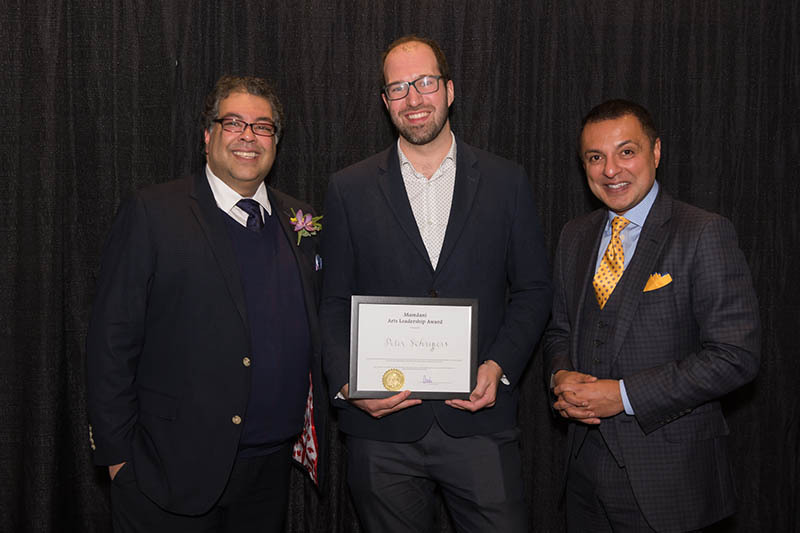 He is being recognized for his commitment to bringing the Calgary artistic community together to make vibrant and accessible theatre for young audiences. George Webber’s breathtaking photography captures the soul of the prairies. From the haunting rooms of rundown hotels to disintegrating small town storefronts, Webber’s images have been collected around the globe. 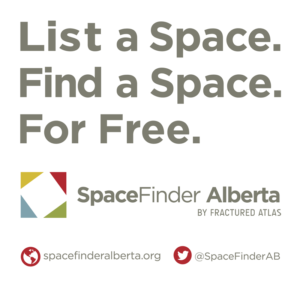 Thank you to Champion Sponsor Strategic Group, Youth Arts Showcase Sponsor Calgary Foundation, and VIP Table Sponsors ATB Financial and Calgary Foundation. Arts Patron Table Sponsors included Alberta University of the Arts, Aspen Properties, Brookfield Residential, Calgary Flames Foundation, CMLC, DIALOG, Kasian Architecture Interior Design and Planning Ltd., TD Bank Group, TELUS, and the University of Calgary. Thank you all for celebrating with us. We look forward to seeing you at next year’s event!